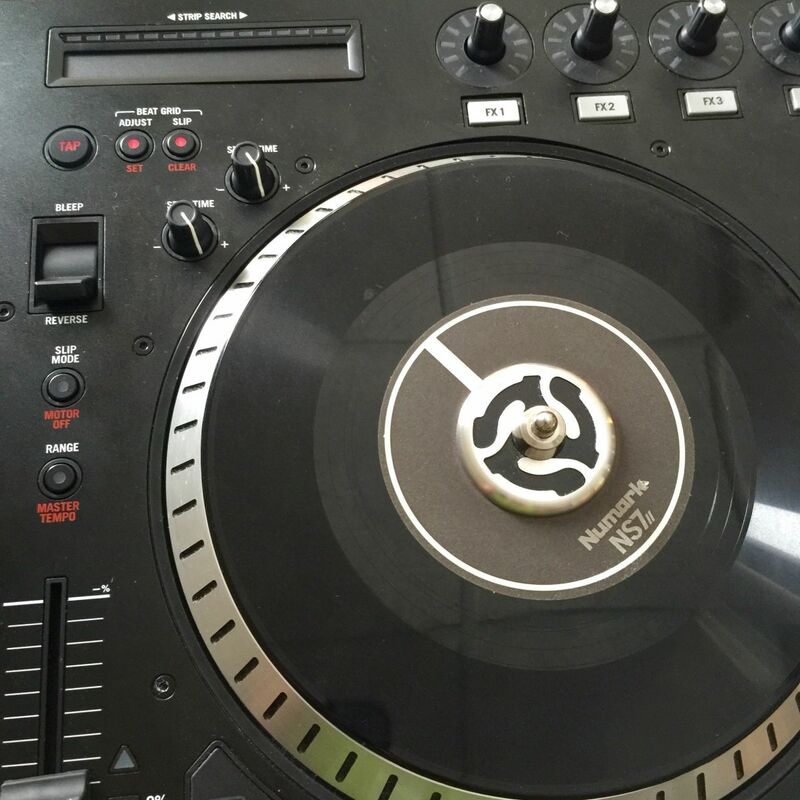 Like any precision instrument, the Numark NS7II and NS7III may require proper calibration to ensure accuracy. 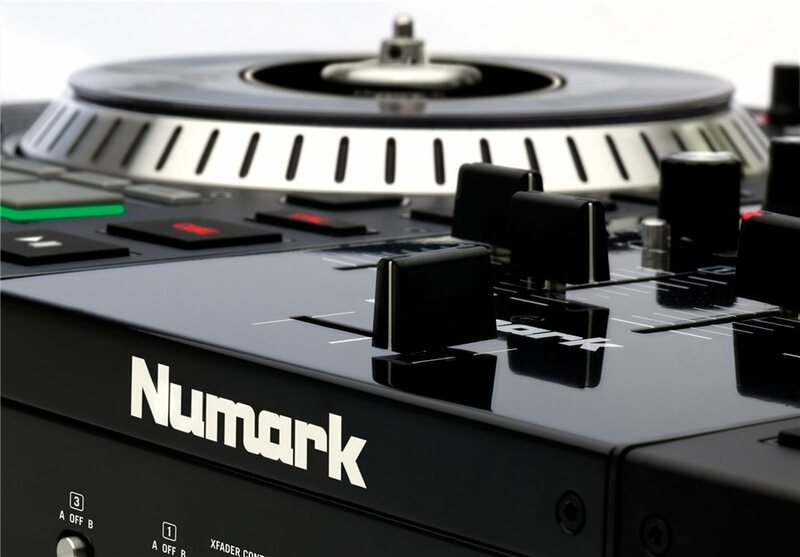 If you're experiencing calibration issues with your Pitch Slider, Start & Stop Time knobs or your Touch Strip, then follow the steps suggested in this guide to calibrating the Numark NS7II and NS7III. Disconnect the USB cable from the NS7's USB port. 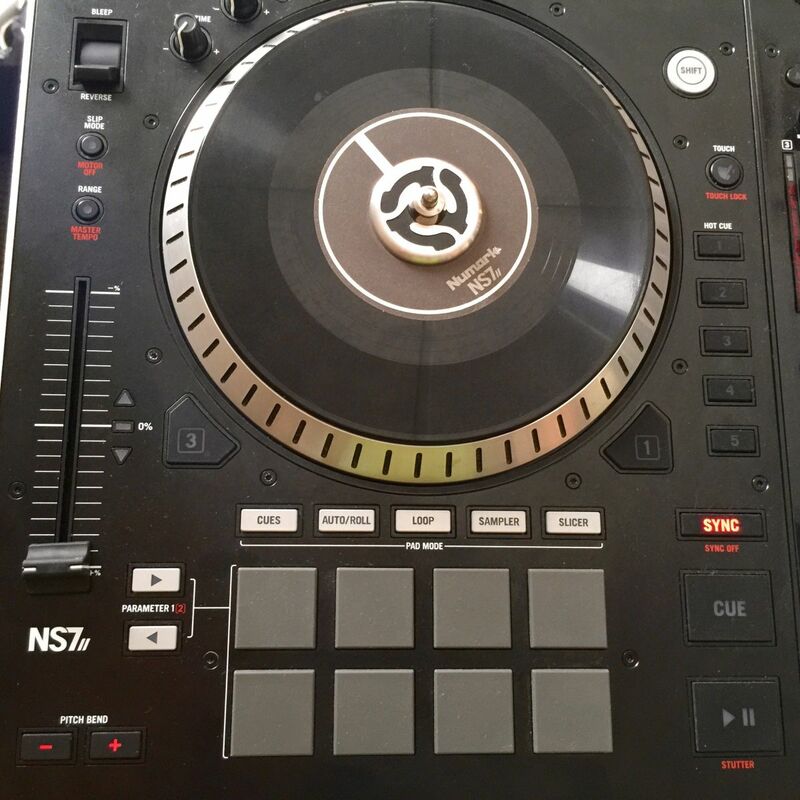 Make sure your NS7 is turned off. Power on the NS7II while holding down SYNC on the right deck. 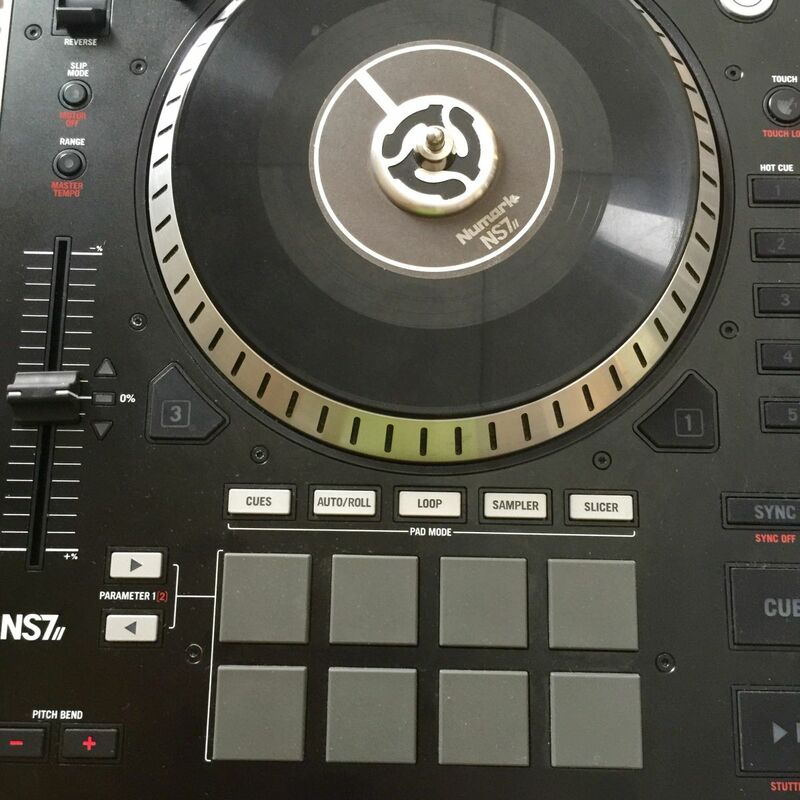 You'll notice that the MPC pads on the right deck will blink white to show the proper computation of the mode. Set each deck's PitchSliders to the minimum position. 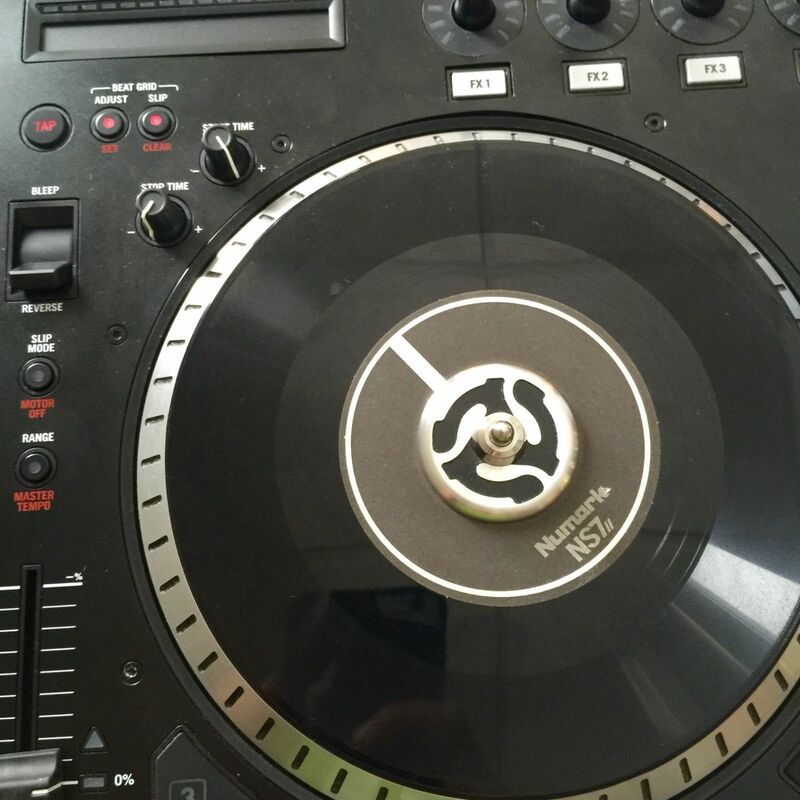 Press the left deck SYNC button. Set each deck's PitchSliders to the maximum position. Press the left deck SYNC button. You'll notice that the left deck SYNC button will stay lit solid red. Set each deck's PitchSliders to the center position. Press the left deck SYNC button. You've now completed the Pitch Slider portion of this calibration process. Note: For the next part of the calibration process, make sure your fingertip is clear of grease, dirt, oils, and water. Your fingertip should be clean and dry. Do not "slide" your finger across the strip during this process. Simply touch. Next, on the left deck TouchStrip, touch the end song position. On the left deck TouchStrip, touch the start song position. On the right deck TouchStrip, touch the end song position. 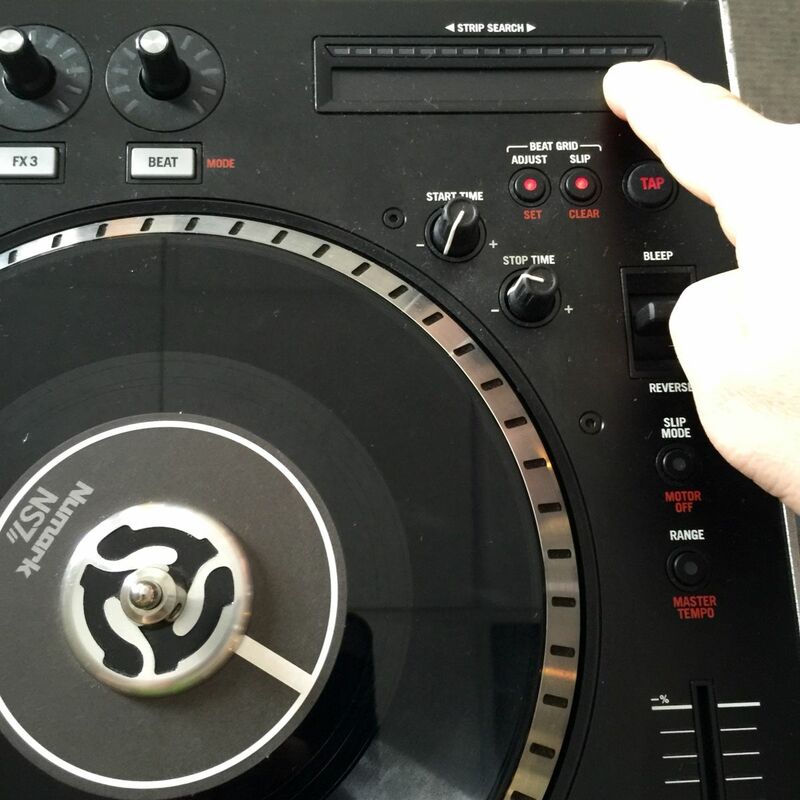 On the right deck TouchStrip, touch the start song position. Press the left deck SYNC button. You've now completed the TouchStrip portion of this calibration process. 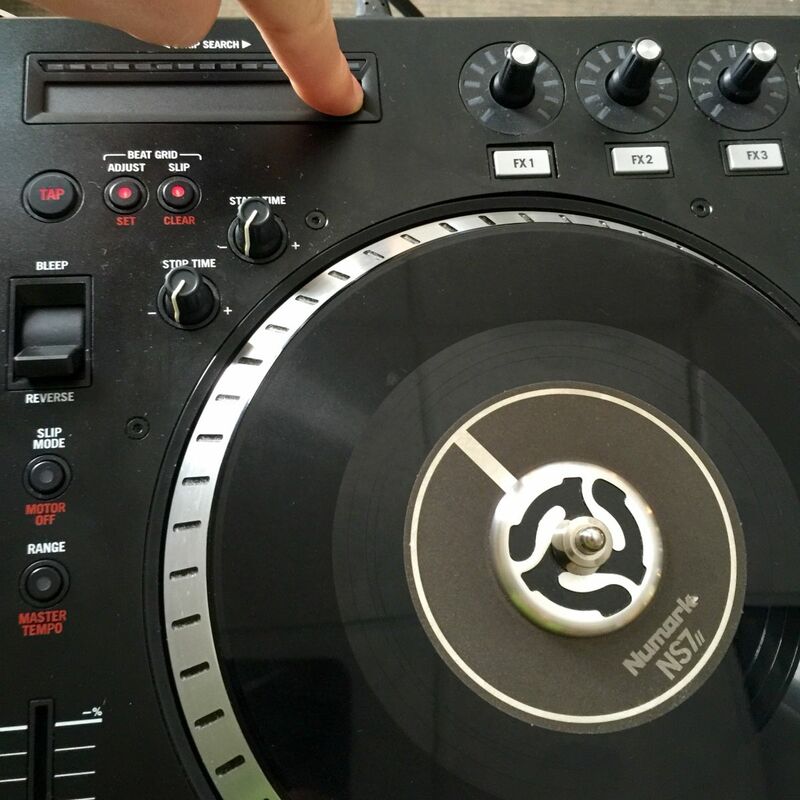 Next, set both StartTime knobs for each deck to the max position. 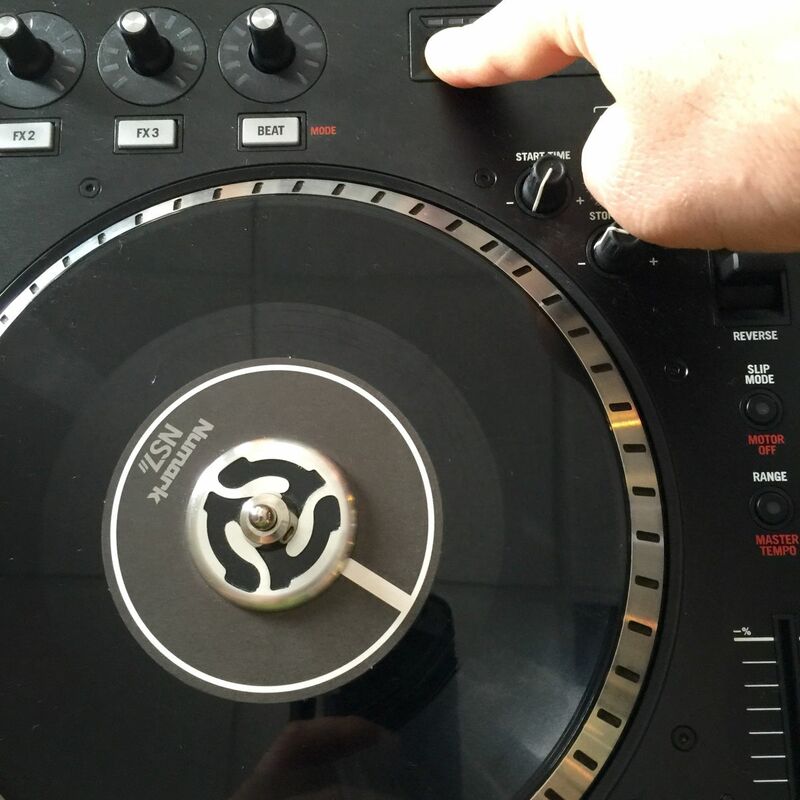 Set both StopTime knobs for each deck to the max position. That's it! You successfully completed the NS7 calibration process. To ensure that your controller is working correctly, power off your controller than power it back on, this time with your USB cable connected to it. 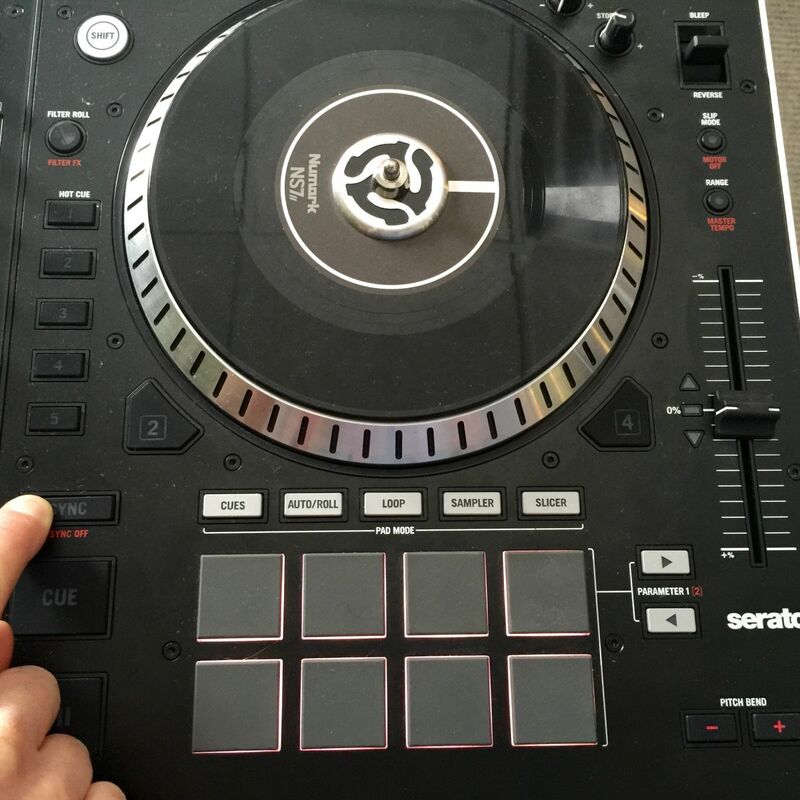 Open up the latest version of Serato DJ and test out your PitchSlider, TouchStrip and Start/StopTime knobs on your NS7. Note: If you happen to accidentally mess up during this calibration process, no worries. 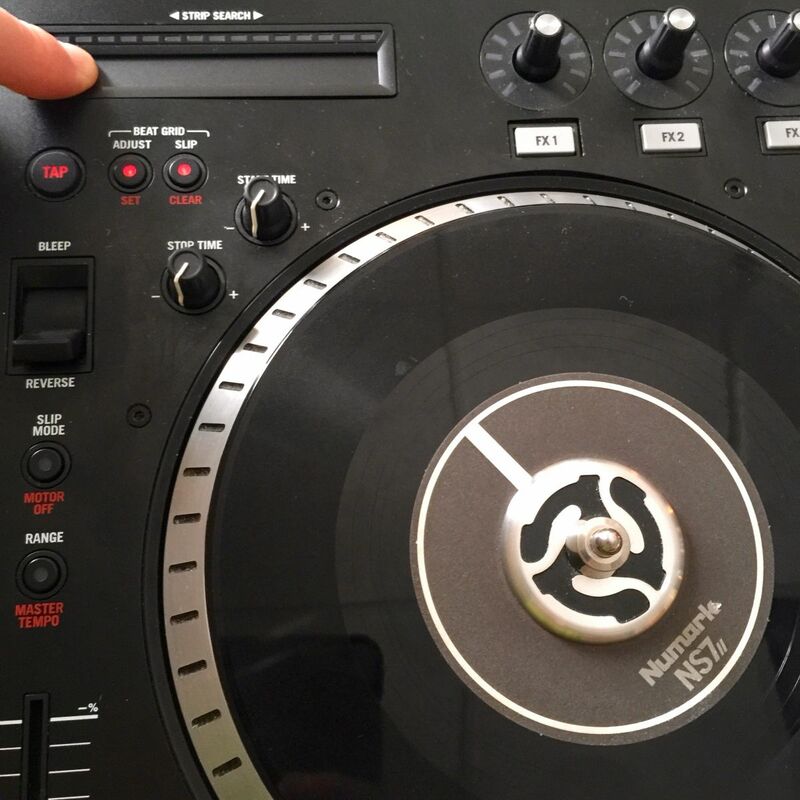 Simply power off your NS7, turn it back on and restart the calibration process. 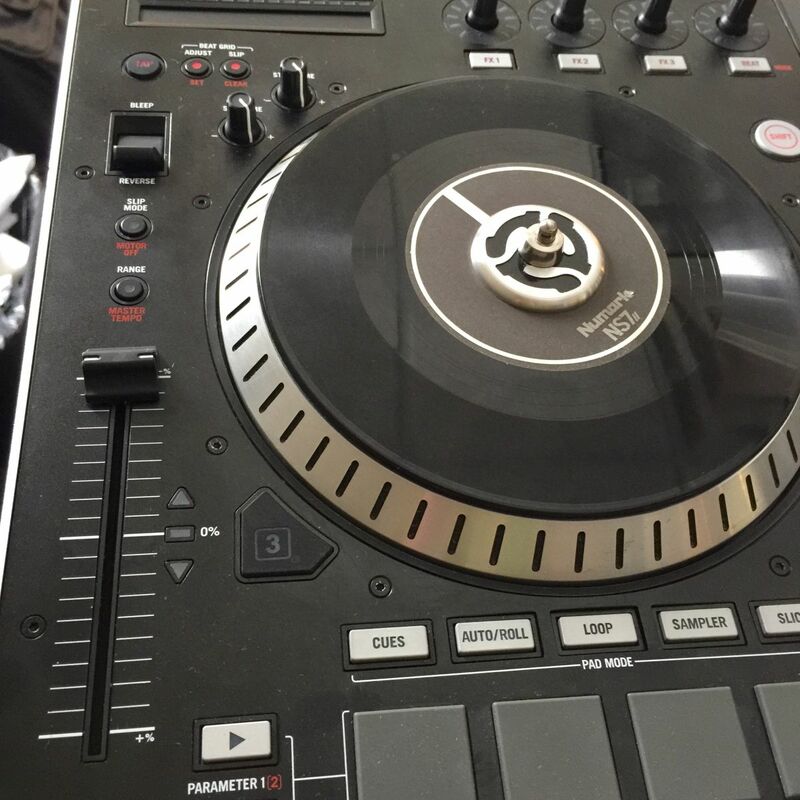 Whether you are a customer or dealer, if you already own a Numark product, or if you just have pre-sales questions, the Numark technical support team is available to help! Visit the link below to connect with any of the following support options: online community support, phone support, and email support. This means you completed the Pitch Slider portion of this calibration.